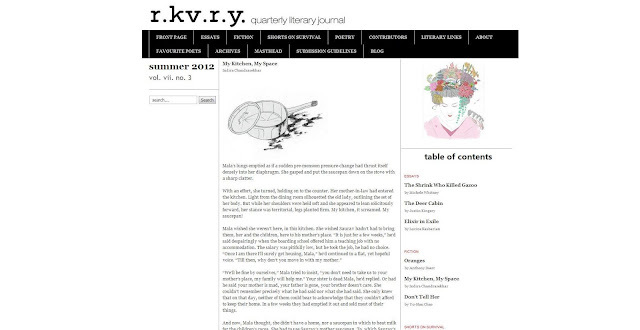 Indi's Blog: 'My Kitchen My Space' appears in r.kv.r.y. 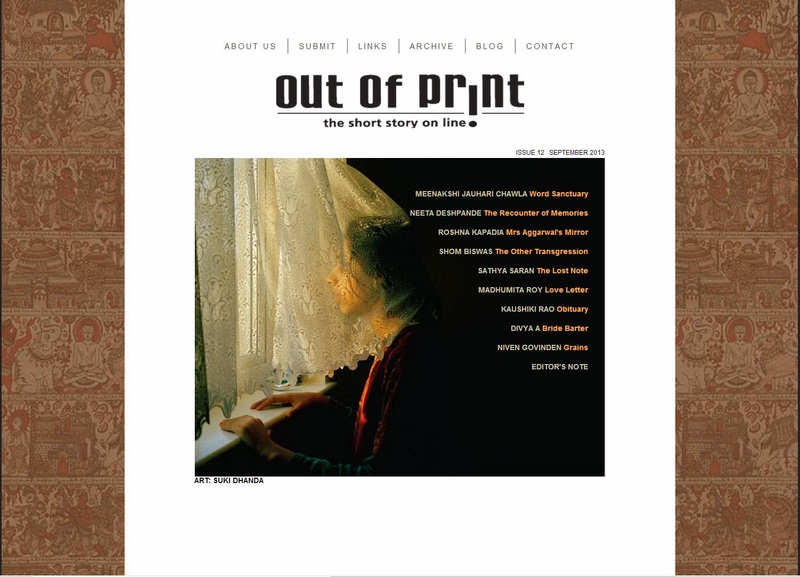 I read excerpts from My Kitchen My Space at the Lekhana Literary Weekend; the paragraph about the effect the protagonist thinks the teflon coating of the saucepan will have on her children and the final section, where she raises a saucepan to smash it into her mother-in-law's face. The story is now out in the remarkable magazine, r.kv.r.y. alongside work from Anthony Doerr (one of my favourite short fiction writers) and Yu-Han Chao.